The root zone cabinet can be easily deployed in existing facilities. 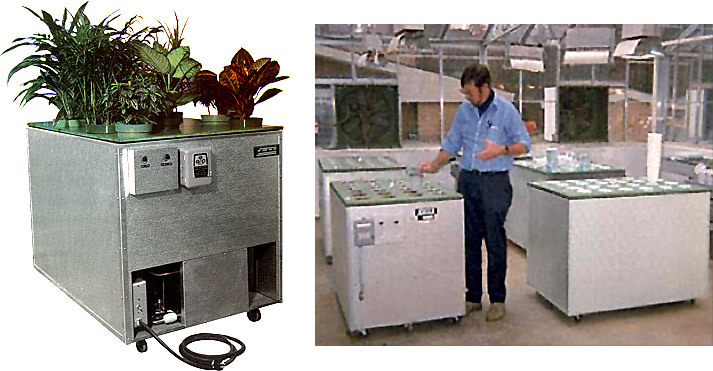 When used in conjunction with a controlled environment chamber, it can simulate varying temperature differentials between soil conditions and ambient air. Control air temperature in the tank can be programmed in diurnal cycles with a working range from 0°C to 38°C. The maximum differential between root temperature and ambient is 15°C. The cabinet is large enough to hold up to twelve 10" diameter pots or up to twenty-eight 6" pots. These units are constructed with a textured aluminum exterior, polymer foam insulation, and a galvanized inner liner. They are equipped with a 3/4" floor drain, an eight foot heavy duty grounded power cord, and casters as standard.